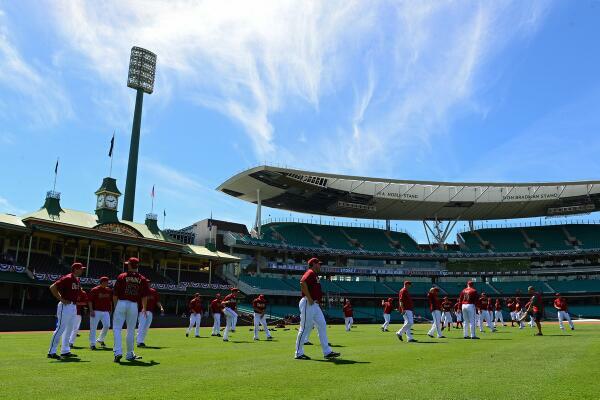 The Diamondbacks and Dodgers are Down Under for the MLB opener. 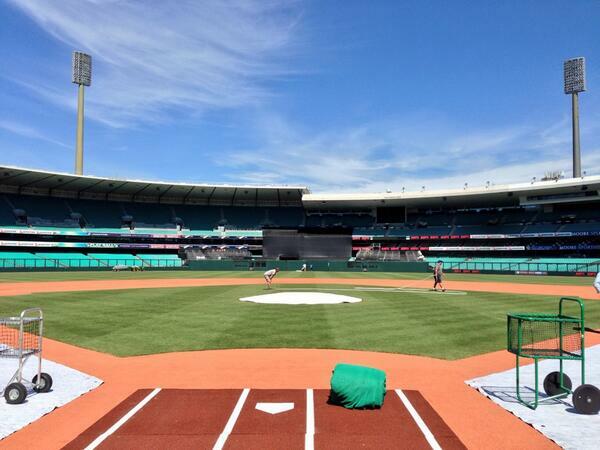 The opening pitch of the 2014 Major League Baseball will be thrown tomorrow in Sydney, Australia. The matches feature the LA Dodgers. The players have been having A LOT of fun in Oz. 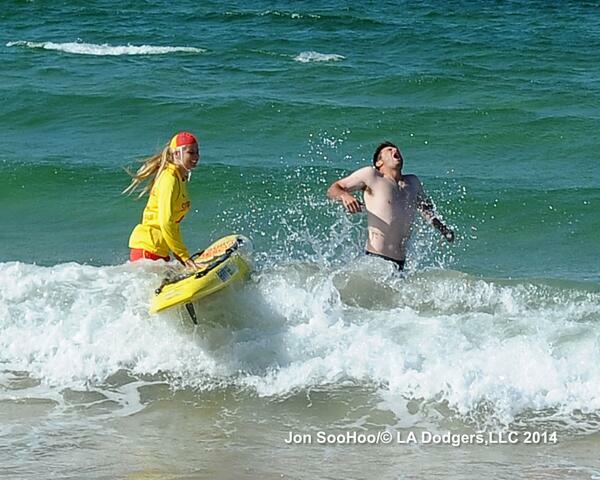 Trading surf lifesaving lessons for baseball tips. The Sydney Cricket Ground has been transformed. 1. Addison Reed was impressed. Wow is the only word to describe this! 2. A.J. Pollock couldn't wait to get started. 3. Hyun Jin Ryu learned to speak Australian. 5. 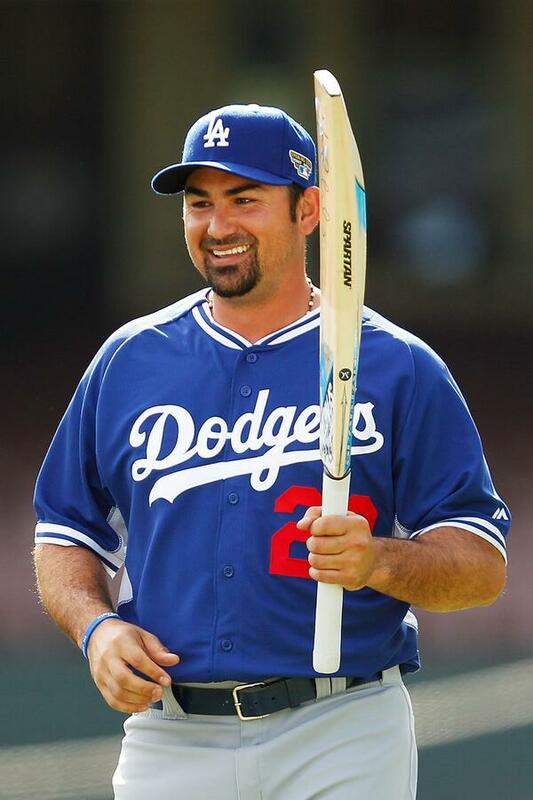 Adrian Gonzalez met the locals. Then had some fun with his new bat. 6. Drew Butera showed off his tan. 7. 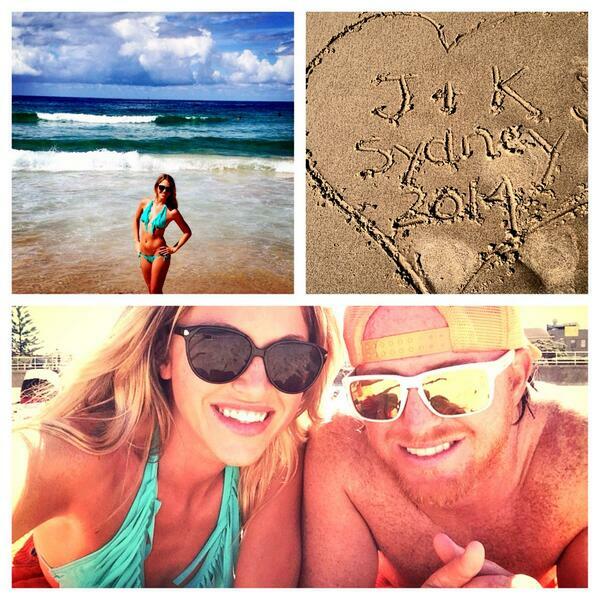 Justin Turner and girlfriend Kourtney looked like natives. 8. 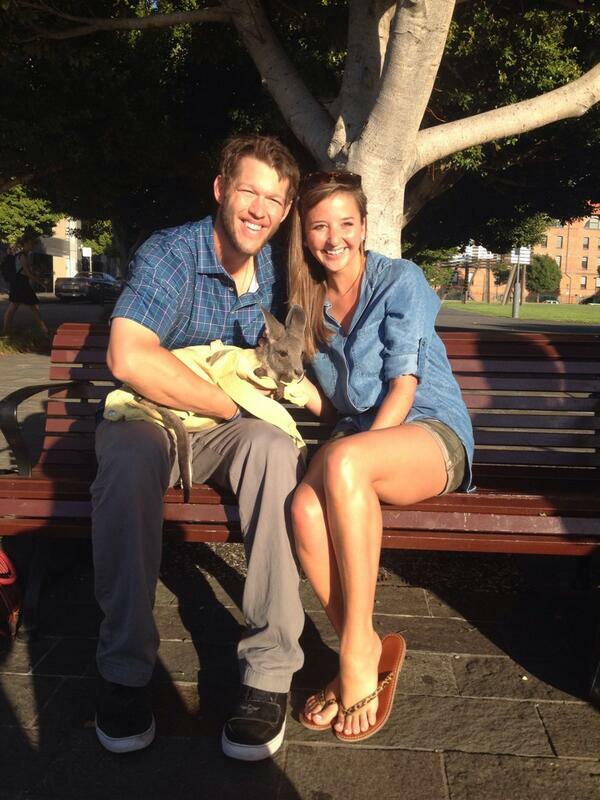 The Kershaws met a kangaroo joey. Clayton is a natural born Aussie Rules Footballer! 9. 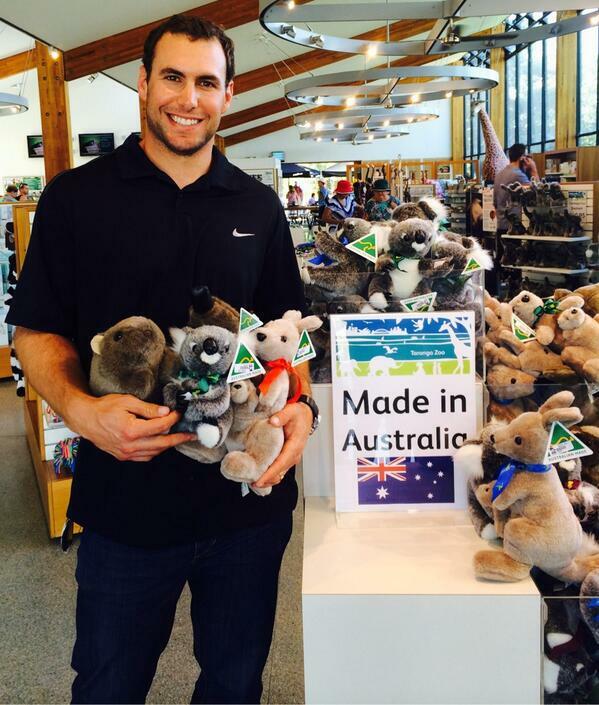 Paul Goldschmidt found some cuddly friends. 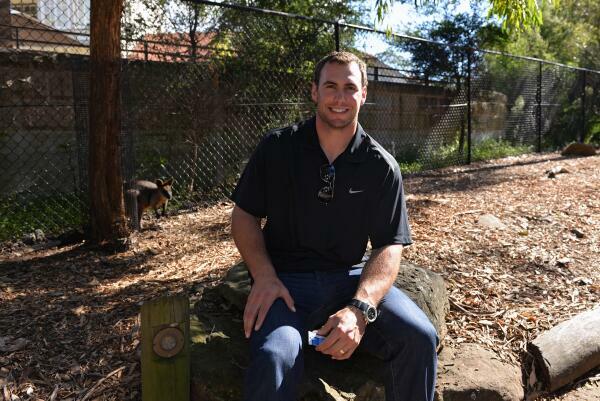 A few of the #Dbacks are visiting @tarongazoo today. They won&#39;t let you hold the real animals, so Goldy improvised. 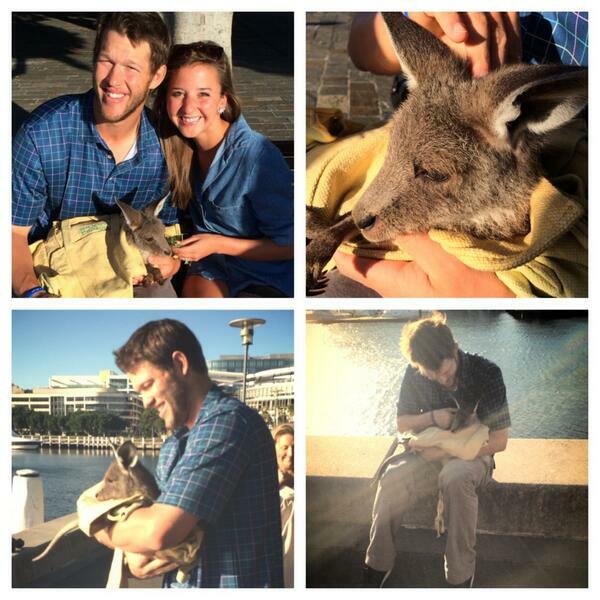 A few of the #Dbacks are visiting @tarongazoo today. They won't let you hold the real animals, so Goldy improvised. And got photobombed by a wallaby. Wallaby photobombs are the best. Hung with some local legends. And showed he's got the right stuff for rugby. 10. The Howell's said "G'day" to a koala. 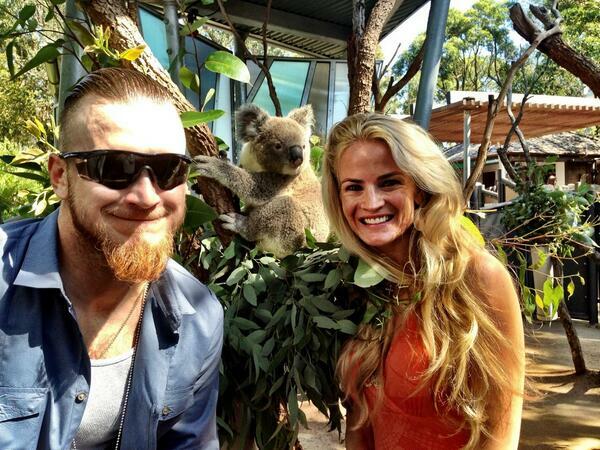 At the @tarongazoo making friends w/ Koala bears! @Dodgers @MLB can we take one home?!! 11. Tony Campana climbed the Sydney Harbour Bridge. 12. Archie Bradley conquered his fear of heights too. He's really enjoying his first MBL roadtrip. 13. 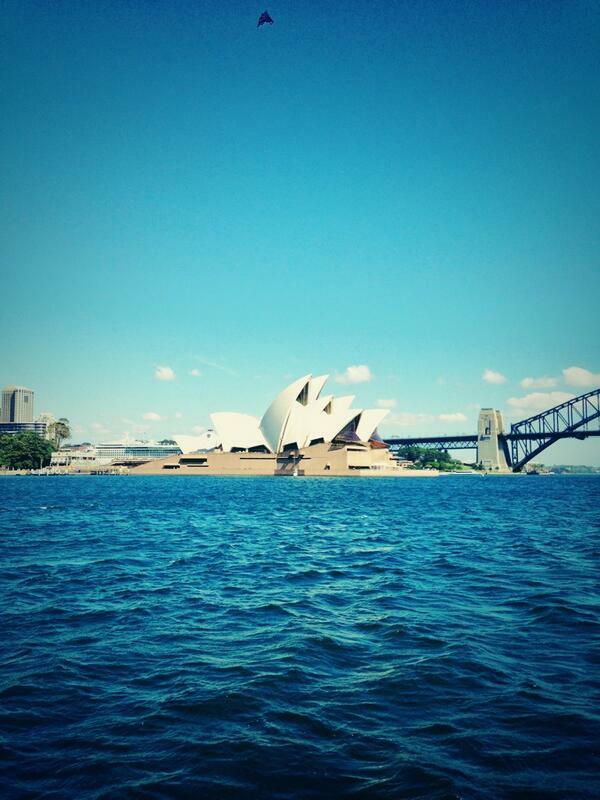 Tim Federowicz spent some time on Sydney harbour. Had a great time at Bondi Beach and our boat tour back by the Sydney Opera House! Just had kangaroo for dinner. It was a lot better than I expected! 14. Hanley Ramirez rocked his best Jacko look. 15. Joc Pederson got sparklers. 16. Matt Tuiasosopo loved Bondi's empty sands. 17. Yasiel Puig couldn't stop smiling. 18. And Andre Etheir couldn't stop hitting balls. But when he did, he rocked The Greatest Suit/Tie Combo In History.